Dalet announced today that Perform, the leading digital sports content and media group, has selected Dalet Galaxy as the Media Asset Management and Orchestration platform for the launch and daily operations of its ground-breaking live and on-demand sports platform DAZN in Japan. Dalet, a leading provider of solutions and services for broadcasters and content professionals, announced today that Perform, the leading digital sports content and media group, has selected Dalet Galaxy as the Media Asset Management and Orchestration platform for the launch and daily operations of its ground-breaking live and on-demand sports platform DAZN in Japan. DAZN, which launched in Japan in August last year, is a rapidly growing subscription-based OTT provider of multimedia sports content. Its offer in Japan is based around Perform’s 10-year rights agreement to broadcast the domestic premier J.League games live streams, highlights and magazine programs. 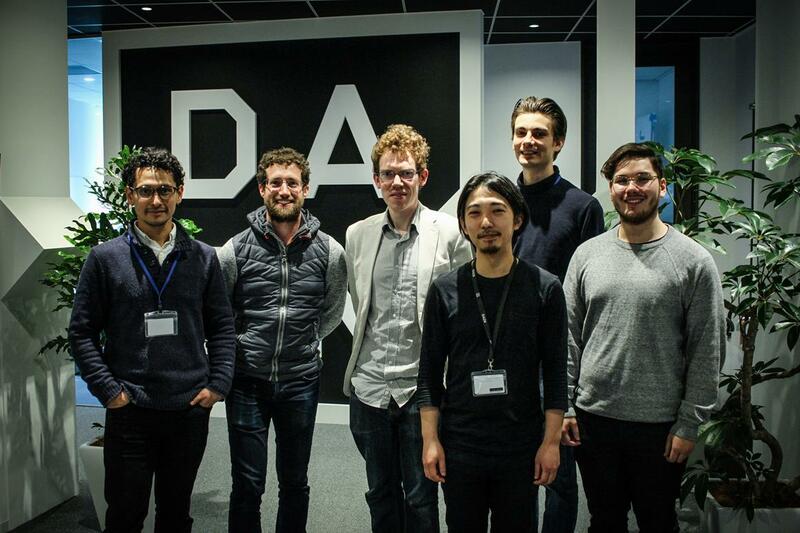 To facilitate the production and distribution of highlights and magazine content, as well as share the high value assets with its UK site, Perform extended its existing relationship with Dalet and implemented an end-to-end production workflow powered by the Dalet Galaxy platform in its Tokyo facility. The agile Dalet Galaxy platform serves to connect and orchestrate the ecosystem of technologies used at DAZN, including Evertz Dream Catcher, Xendata, Qualstar, Adobe® Premiere Pro® CC and Avid ProTools, creating a seamless production and distribution workflow. Visit https://media.dazn.com/en/ for more information. Dalet Digital Media Systems, a leading developer of Media Asset Management (MAM) solutions, software and services for content producers, has announced that FOX has selected Dalet Sports Factory as the end-to-end production and Media Asset Management system for the company’s brand new, national, multisport cable network — FOX Sports 1 (FS1). The new channel will launch in mid-August with an impressive roster of live sports including college basketball and football, NASCAR, soccer and UFC. Dalet Sports Factory will provide the essential MAM underlayer that will manage the channel’s workflows and content—from ingest through production to on-air broadcast and archiving. 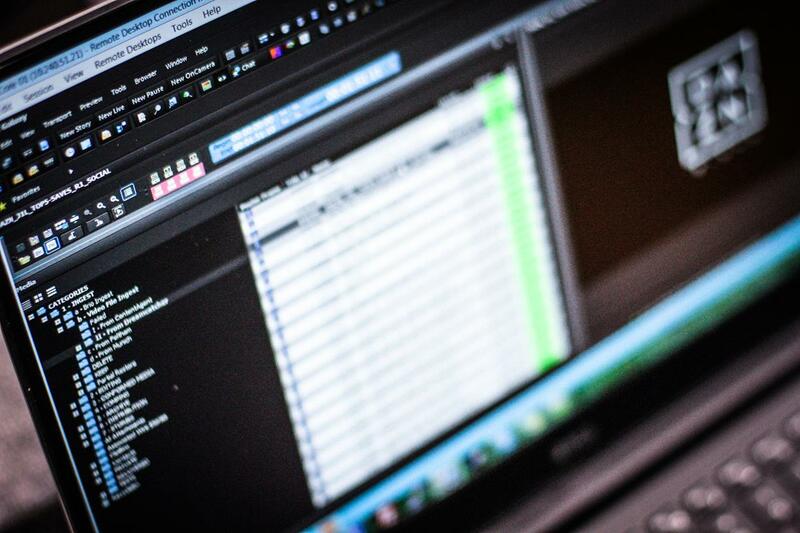 Dalet Brio servers will be used for nearly a hundred channels of video ingest. “We need the kind of robust and flexible MAM that Dalet Sports Factory provides to handle the scale and complexity of FS1,” says Andrea Berry, Senior Vice President, Media Services. “We’ll be producing huge volumes of content for this new channel and Dalet’s metadata management capability will be very important.” “The Dalet MAM will play the role of orchestrator managing ingest and production on a large scale and breaking down the silos of production to create a more fluid and efficient workflow,” says Julien Decaix, General Manager, Dalet US and Latin America. “Production teams will benefit from built-in Dalet tools to help their creative endeavors and our metadata management capabilities will also make it easier for FS1 to create content for alternate platforms. Looking forward, the Dalet Sports Factory system can readily scale to meet additional workflows and channels, and our technology platform is easily adapted to future technologies.” Dalet Sports Factory is an open system and provides seamless integrations with broadcast and IT systems, including industry-standard NLEs with exchanges of both media and metadata (including parent/child relationships of assets). Sports Factory is built on Dalet’s robust Media Asset Management platform, which provides lifecycle content and metadata management with comprehensive and customizable data schemes that will allow FS1 to catalogue multisport content with the most relevant and detailed data fields and to create data models that also facilitate multiplatform distribution. The integrated workflow engine seamlessly formats and distributes content for enhanced viewing on digital platforms. Dalet Sports Factory also includes essential tools for ingest, editing and distribution as well as many sports-specific tools such as logging and highlight creation. To learn more about Dalet Sports Factory and all of the Dalet solutions, visit the Dalet booth at NAB 2013 (SL4524). About FOX Sports 1 As America’s top-rated network for sports for 16 straight years (1997-2012), FOX Sports boasts rights agreements with each of the nation’s highest-rated sports including Major League Baseball, National Football League, NASCAR Sprint Cup racing, Ultimate Fighting Championship, the Big Ten Football Championship Games, Pac-12 football, the AT&amp;T Cotton Bowl Classic and the UEFA Champions League Final. Set to debut on Saturday, Aug. 17, FOX Sports 1 is available in over 90 million homes, making this the biggest sports cable network launch in history, and one of the largest network launches ever. At the outset, FS1 boasts nearly 5,000 hours of live event, news and original programming annually. About Dalet Dalet solutions enable broadcasters and media professionals to create, manage and distribute content to traditional and new media channels, including interactive TV, the Web and mobile networks. Dalet combines in a single system a robust and proven Media Asset Management platform with advanced metadata capabilities, a configurable workflow engine and a comprehensive set of purpose-built creative and production tools. This integrated and open environment enables end-to-end management of the entire news, sports and program content chain, and allows users to significantly improve efficiency and to maximize the use and value of their assets. Dalet’s solutions are delivered through a dedicated Professional and Integration Services Department to ensure the highest possible standards. Dalet systems are used around the world by thousands of individual users at hundreds of TV and Radio content producers, including public broadcasters (ABS-CBN, BBC, CBC, DR, France TV, RTBF, RFI, Russia Today, RSR &amp; TSR, RT Malaysia, VOA and WDR), commercial networks and operators (Antena 3, Canal+, FOX, eTV, Mediaset, Orange, Time Warner Cable, Warner Bros. and SiriusXM Radio), and government organizations (Canadian House of Commons, the European Commission and the Parliament of South Australia). Dalet is traded on the NYSE-EURONEXT stock exchange (Eurolist C): ISIN: FR0011026749, Bloomberg DLT:FP and Reuters: DALE.PA. Dalet is a registered trademark of Dalet Digital Media Systems. All other trademarks and products mentioned herein belong to their respective owners. For more information on Dalet, visit www.dalet.com. Dalet Digital Media Systems, a leading developer of Media Asset Management (MAM) solutions, software and services for content producers, has announced that L’Équipe 21, the most popular sports news channel in France, has deployed Dalet Sports Factory as the end-to-end news, studio production, broadcast and MAM system at the company’s new television facility. The broadcast center has relocated to the headquarters building of parent company L’Équipe, the famous sports newspaper. Modular by design, Dalet Sports Factory provides L’Équipe 21 with all the necessary tools for the 24/7 channel, including a complete newsroom computer system, desktop video production, sports-specific tools for slow-motion replay and highlight creation, as well as broadcast playout and multiplatform distribution. The underlying Dalet Media Asset Management platform transparently tracks multimedia content and metadata throughout the content creation chain, preserving essential information and making it far easier to produce and distribute content to different platforms. Dalet Sports Factory gives L’Équipe 21 a much more unified and efficient workflow than the older system, which relied on a mix of multiple systems. The entire project, from order to on-air, was completed in just 3 months. “That includes building the infrastructure, installing the system, adapting the workflows and metadata schemes, training and going live. The Dalet system is quite comprehensive and provides the key operational components. So it was very cost-effective, and we were able to move very quickly, avoiding the headaches often associated with large integration projects,” says Philippe Espinet, director of operations, L’Équipe 21. “Because Dalet is an open, IT-based system, the few integrations were easy to implement. Our staff immersed themselves in the project along with the Dalet Professional Services team, who provided excellent support. Coaching was key; we trained 150 users in just 5 weeks. With Dalet’s fully integrated system, it’s very easy for our journalists as all the tools are right at their fingertips.” “L’Équipe 21 demonstrates the versatility of Dalet Sports Factory with tools that cover typical sports production and live events as well as 24/7 news formats and magazine programs. L’Équipe 21 went beyond a simple update of their equipment when they designed their new plant. They created a streamlined, asset-based workflow that enables them to produce more content more efficiently so it can be optimized for use on many platforms,” says Stephane Schlayen, COO, Dalet. “This MAM-driven approach is driving the entire industry, and Dalet’s solutions with a versatile MAM platform offer the flexible framework and relevant toolsets to enable this new model. The result is improved productivity on the operational side and more ways to rationalize expenses and to realize new revenues on the business side.” Dalet Sports Factory is built on Dalet’s robust Media Asset Management platform, which provides lifecycle content and metadata management with comprehensive and customizable data schemes that allow L’Équipe 21 to catalogue and access its valuable assets. As content is enriched throughout the production chain, metadata is tracked, making it far easier to publish to multiple platforms. To preserve the value of the valuable archive, the metadata from the older system was imported into the Dalet MAM system so that content is readily searchable and available to everyone who needs it. It’s also possible to create data models that facilitate production for multiplatform distribution. Because all Dalet solutions are modular, customers have the freedom to choose the best toolsets for their particular workflows. At L’Équipe 21, journalists rely on Dalet’s full-featured newsroom computer system to manage wires from AFP and rundowns, script stories, edit video and prepare video packages with voiceovers and CGs generated by Vizrt. When craft editing is required, Dalet Xtend for Apple Final Cut Pro provides for the seamless exchange of videos, shot lists, EDLs and their metadata between for a collaborative work between Dalet users and Apple Final Cut Pro editors. Journalists can access content and Dalet tools using the Dalet desktop client or via the Dalet Web Space using a standard web browser. Dalet Sports Factory also has a range of toolsets to meet the unique demands of sports broadcasting. For instance, L’Équipe 21 uses Dalet Hilites Espresso to generate instant replays of key plays with slow-motion effects. The technical infrastructure at L’Équipe 21 is IT-based and well integrated. Dalet Brio servers manage 24 video ingest channels in DVCPro 100 as well as playout for replays and commercials from Master Control, and A/B roll and carts playout from the Production Control room. Fiber connects the NetApp online production storage that delivers 4 GB/s to the Brio servers that playout directly from the NAS. A separate Oracle Sun ZFS storage device automatically archives high-resolution video material. The Dalet MAM is integrated with the CTS Enterprise traffic system and a Vizrt graphics system. Rhozet transcoders convert files into appropriate formats for new media publishing. The openness and flexibility of the Dalet system give L’Équipe 21 the freedom to incorporate new equipment and workflows as the company’s needs and requirements change over time. About L’Équipe 21 L’Équipe 21 is a TV channel in France completely devoted to sports. Its slogan is 100% sport, 100% free. Founded in 2012, L’Équipe 21 covers all kinds of sports and more than a hundred sports are broadcast on the channel. L’Équipe 21 broadcasts 24 hours a day, 7 days a week and is always at the heart of sports news. The typical program lineup includes: 7am: David Vengerder and Julie Raynaud kick it off with “L’Équipe du Matin” in which they present a complete overview of the current Sports news. Lunchtime: France Pierron presents the horse races in “Menu Sport”. Late afternoon: Gaëlle Millon and Pierre Nigay present “Le Grand Tour de L’Équipe” a live show live in which the hosts discuss the daily Sports news. Evenings: Olivier Menard and his expert team discuss the most recent sports news and the upcoming events. L’Équipe 21 keeps sports fans continuously alerted to the sports news with “Le journal”, a complete summary of the latest sports news which is updated every 15 minutes. About Dalet Dalet solutions enable broadcasters and media professionals to create, manage and distribute content to traditional and new media channels, including interactive TV, the Web and mobile networks. Dalet combines in a single system a robust and proven Media Asset Management platform with advanced metadata capabilities, a configurable workflow engine and a comprehensive set of purpose-built creative and production tools. This integrated and open environment enables end-to-end management of the entire news, sports and program content chain, and allows users to significantly improve efficiency and to maximize the use and value of their assets. Dalet’s solutions are delivered through a dedicated Professional and Integration Services Department to ensure the highest possible standards. Dalet systems are used around the world by thousands of individual users at hundreds of TV and Radio content producers, including public broadcasters (ABS-CBN, BBC, CBC, DR, France TV, RTBF, RFI, Russia Today, RSR &amp; TSR, RT Malaysia, VOA and WDR), commercial networks and operators (Antena 3, Canal+, FOX, eTV, Mediaset, Orange, Time Warner Cable, Warner Bros. and SiriusXM Radio), and government organizations (Canadian House of Commons, the European Commission, Parliament of South Australia). Dalet is traded on the NYSE-EURONEXT stock exchange (Eurolist C): ISIN: FR0011026749, Bloomberg DLT:FP and Reuters: DALE.PA. Dalet is a registered trademark of Dalet Digital Media Systems. All other trademarks and products mentioned herein belong to their respective owners. For more information on Dalet, visit www.dalet.com.